Coyote Run's "Covenrty Carol" from the "A Kilted Christmas " to the Xmas play list! You have the VIDo featured today 12/17/14. Write about Spirits - ES! 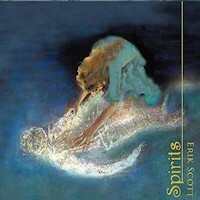 Want to write a review about Erik Scott's Spirits - ES album? Post your comments in this box to be displayed in our community forums and in our album database! Please make sure you are logged in before proceeding. Please login to write your comments about Spirits - ES.